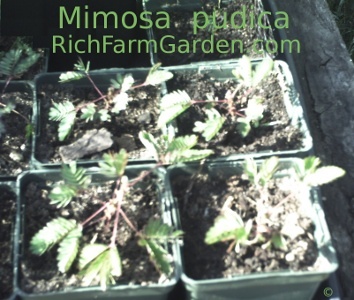 Sensitive Plant - Mimosa pudica - Annual or Tender perennial - Lovely annual, houseplant or perennial where winter temperatures do not fall below 10F (-17.7C) with ferny foliage and powder puff like lilac flowers. 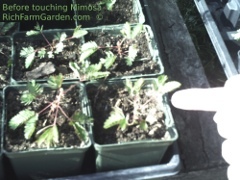 Curiously, the foliage folds together when touched. 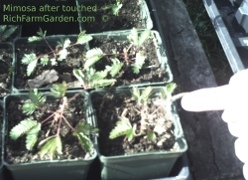 Not related to the Acacia (Wattle tree) or the Albizia (the Mimosa tree of the southern US), but grown in much the same manner. Prefers sandy loam - not too rich. Drought resistant. Full sun; plant height: 3ft.